Findmypast user Dennis Hawkins discovered a relative he never knew about in Findmypast's records and later unearthed a chain of awful events that ended in tragedy. I have been researching my family history for twenty-odd years and I thought I knew everything about my immediate family. Imagine my surprise when the 1911 census became available and it listed a hitherto-unknown sister to my father (Fernley Charles Hawkins born 1905 in Devonport). The sister was listed in the census record as Mabel Vera Hawkins born 1903 in Devonport. I searched Findmypast to locate her, but the only Mabel Vera Hawkins listed was born in Cheltenham in 1903. I sent for her birth certificate, only to find her father was George Albert Hawkins. Right, I thought, she must be a cousin, staying with my father in Plymouth and wrongly listed in the 1911 census as his sister. Unlikely, as the 1911 census was filled in by the respondent rather than by an enumerator, but what else was I to think? I began tracing the Cheltenham Mabel's family tree on Findmypast. She had eleven siblings. I went back as far as her great grandfather but found no link with my family. At this point I almost gave up but swallowed my pride and enlisted the services of a professional genealogist. 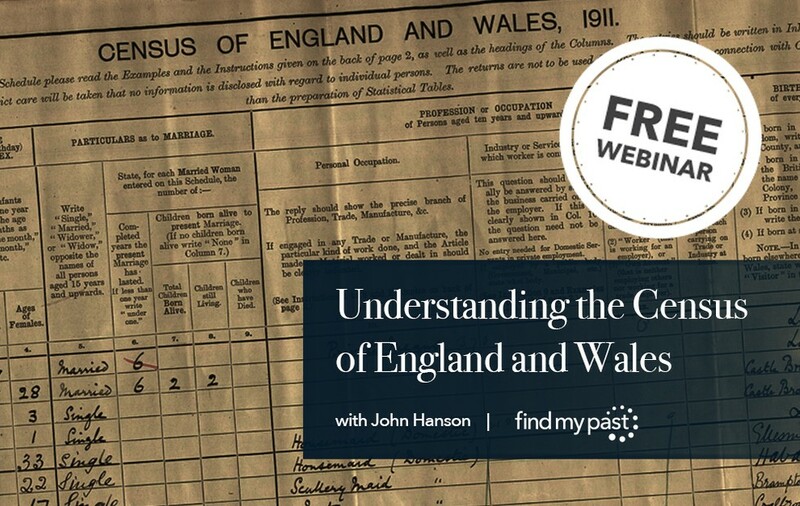 The first thing he noticed, which should have been obvious to me, was that although the 1911 census said Mabel's parents had been married nine years, their marriage certificate, which I already possessed, showed they were actually married in 1904. Thus Mabel was born out of wedlock. The genealogist then theorised that her real surname may have been Dyer (her mother's maiden name). He subsequently found a school record listing her as Vera Mabel Ramsey Dyer. I sent for her birth certificate, which listed her as Vera Mabel Ramsey Dyer born 1903, mother as expected but no father. Possibly the father was Ramsey. So sometime between 1903 and 1911 Vera's surname was changed to Hawkins. Note that the census listed her as Mabel Vera but her actual name was Vera Mabel, a very common recipe for confusion. The census listed her as Mabel Vera but her actual name was Vera Mabel, a very common recipe for confusion. I could find no marriage for Vera, so I started looking at deaths on Findmypast. I found three entries for Vera Hawkins, and the second certificate I sent for proved to be the correct one. The entry (1923) reads "Having hung herself while temporarily insane" in West Looe, Cornwall where she was working as a housekeeper. Next, I found a cutting from a local newspaper, the Cornish Times. This stated that her life history had been a sad one, and she was glad to take employment as housekeeper to two rag and bone merchants. This led me to discover a number of ordeals in Vera's life including becoming pregnant with another's man baby while engaged and accusations of indecent assault, all of which no doubt played a part in her taking her own life. I can only assume that by that point her family had washed their hands of her. I later uncovered her grave and not surprisingly, but sadly, all that was visible was a small hump in the ground, no headstone.